For most people, when they’re asked to name a social network they’ll think of Facebook first. Facebook is a household name, even for people who aren’t Internet savvy. But does that mean that really mean that it will be around forever? 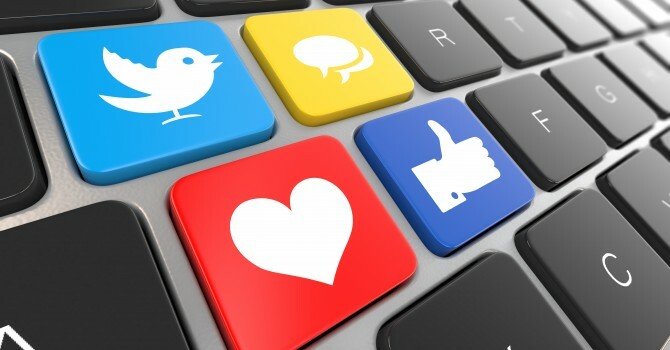 It seems like every week there is a newcomer to the world of social networks, and the web is now saturated with social media options to choose from. From Snapchat, to Periscope, to Vine, the social networking landscape is a lot different now to how it was 10 years ago. With these newer networks and apps gaining in popularity, is it really out of the question to suggest that Facebook might be dying off? If you were to ask people a decade ago what social networking sites they use, it’s likely that they would either; a. not know what you were talking about, or b. talk about sites which are now, long since gone (remember Bebo and MySpace?). Our ways of using the Internet, especially for communication, are changing at such a rapid rate that it’s not surprising for sites to be here one day, and gone the next. Although Facebook might be the industry leader in social networking, it faces competition in the form of new ideas and fresh perspectives from younger platforms. Facebook has stayed relatively “the same” since its conception, with the exception of some increased functionality. Its last big shake-up was the introduction of “timelines” to our profiles, but it remains a platform that plays it safe with its ideas. By contrast, newer apps are all about taking risks with their audiences. When Snapchat came onto the scene in 2012, it was revolutionary in its thought. Other platforms were all about sharing and preserving memories, but Snapchat flipped this on its head by deleting everything its users shared after 24 hours (or sooner!). Of course, this came with it’s own controversies, but it still remains today one of the most popular social networks amongst young people. If Facebook isn’t willing to be bold with its ideas, does it really have a chance of surviving? A lot of people, especially the younger generations, seem to be moving away from Facebook in favour of newer apps and networks. In a training course a few weeks ago, we got onto Facebook as a topic of discussion. We each said that, whilst we still use the network, it’s starting to become boring, and riddled with spam. There’s also the issue of everyone’s parents being on Facebook now… *shudder*. But maybe this doesn’t mean that Facebook is dying, maybe its audiences are just changing. The site is rife with older generations using it to reconnect with old friends, or keep in contact with relatives, or just sharing pictures of Despicable Me’s minions. So, although it’s losing its appeal to young people, maybe Facebook is just going to have to take a new direction with its audiences. What do you think? Do you think Facebook is a thing of the past, or will it stand the test of time for a while longer?